Apple held there long awaited Media Event earlier today for members of the press in San Francisco. 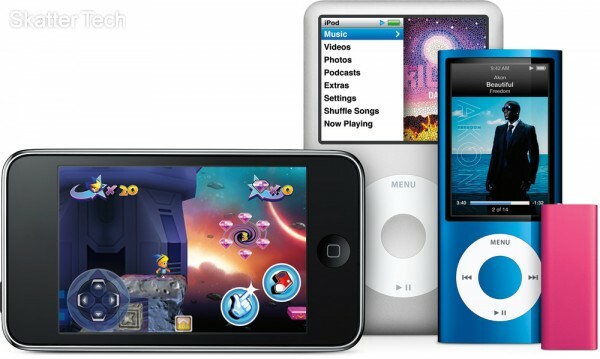 They announced a couple of updates to existing products which include: iPod Shuffle, iPod Nano, iPod Touch, and iTunes. The Apple iPhone also received a small treat, a software update to the 3.1 OS. 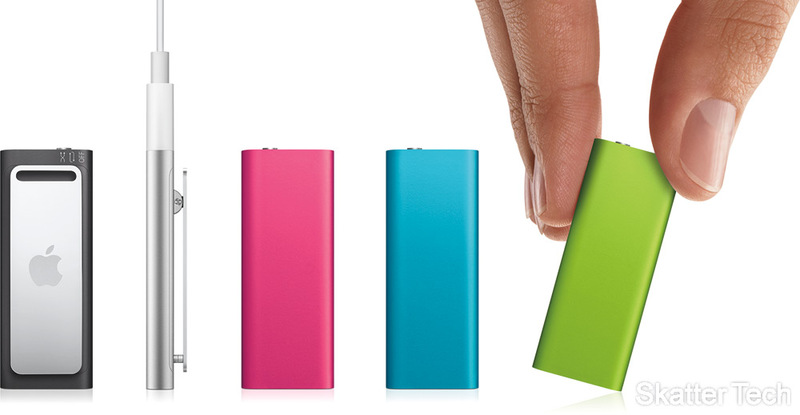 The smallest of Apple’s lineup, the iPod Shuffle received a price reduction, some new colors, and an increase in capacity. Pricing starts at just $59 for the 2GB model and $79 for the 4GB model. Both those capacities will be available in silver, black, pink, blue and green. Apple also threw in an extra feature, VoiceOvers. This feature lets the iPod shuffle speak song titles, artists, and playlist names. Apple took an interesting step with their next upgrade. They decided to squeeze in a Camera and Microphone into the popular iPod Nano. The new built-in speakers will allow listening to clips that you have recorded. And with the latest version of iTunes, recordings can be easily uploaded to YouTube. Also thrown in was a built-in FM radio, which many competing products such as the Microsoft Zune have had. 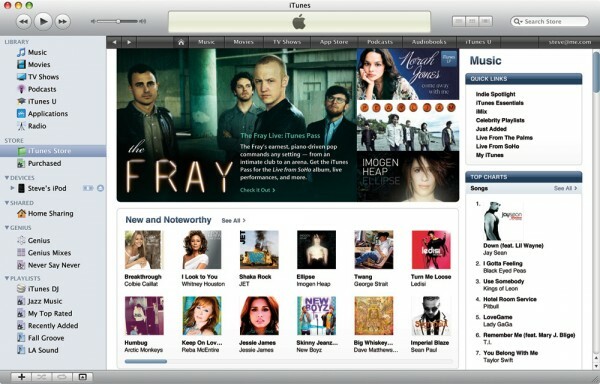 The radio can also identify and tag songs for future purchase in iTunes. The Nike workout accessory is no longer needed since the device has a built-in pedometer. Data can be uploaded to Nike when synced as always. Pricing is now set at $149 for 8GB and $179 for 16GB. Both versions will be available in nine colors: silver, black, purple, blue, green, orange, yellow, (PRODUCT) RED and pink. Apple’s focus at the media event would probably be the iPod Touch. It’s the most powerful of the iPod line up and only a notch below what the iPhone offers. The biggest news would be the extreme price cut. The 8GB now costs just $199. This gives a larger audience much more affordable access to the iTunes Application store. For those who were seeking more storage space, a 32GB model is available for $299 and a 64GB model for $399. Apple also increased the graphical performance making room for better games. Over 20,000 games are already available in the App Store. The one missing feature would probably be the Camera. The iPod Touch will ship with the 3.1 OS. The other update of the day was a major upgrade to iTunes. 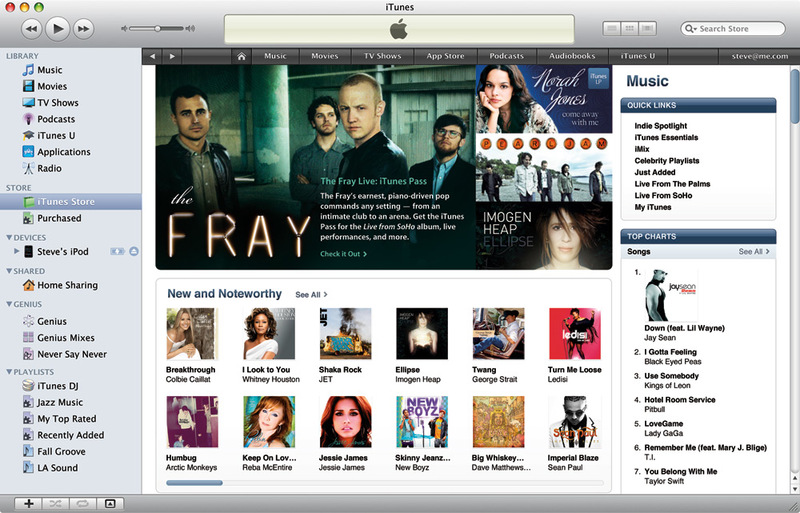 It features an upgraded and redesigned interface, a new iTunes Store, and improved syncing. Home Sharing, also included in the new version, allows easily transferring music, photos, and videos among a maximum of 5 authorized machines. iPhone and iPod Touch users can organize their downloaded Apps from the iTunes interface. There are plenty more minor enhancements, such as Jump Lists for Windows 7, but we won’t go into details. The new version of QuickTime, isn’t included for anyone other than Snow Leopard users. The new iPod Shuffle, iPod Nano, and iPod Touch are all available for purchase in retail stores today. The latest version of iTunes 9 is also available for download on Macintosh and Windows now. where’s the best place to buy the new ipod touch? also does it come with a new laptop purchase if you are a student? i need to buy one this week! Well, I think all the features of iPhone are amazing, however, I do not understand why it does not include message forward feature which is available in a basic phone also. Rest all the features of this phone are excellent but the absense of this feature annoys me. It does have SMS forward! Just click edit when you are in an SMS conversation, check the message or messages you want to forward. Then click on the forward button at the bottom! thanks for the interesting read, appreciated.